The Commissions require new development and redevelopment projects to control the rate and volume of stormwater leaving their sites, and to treat that stormwater before it discharges into storm sewer or downstream waters. These requirements are set forth in Rules and Standards, which also include requirements for projects potentially impacting wetlands and floodplain. The Commissions review projects to determine if these requirements are met. It is the City's responsibility to enforce the standards to ensure that natural resources are protected and water quality improvements are implemented. 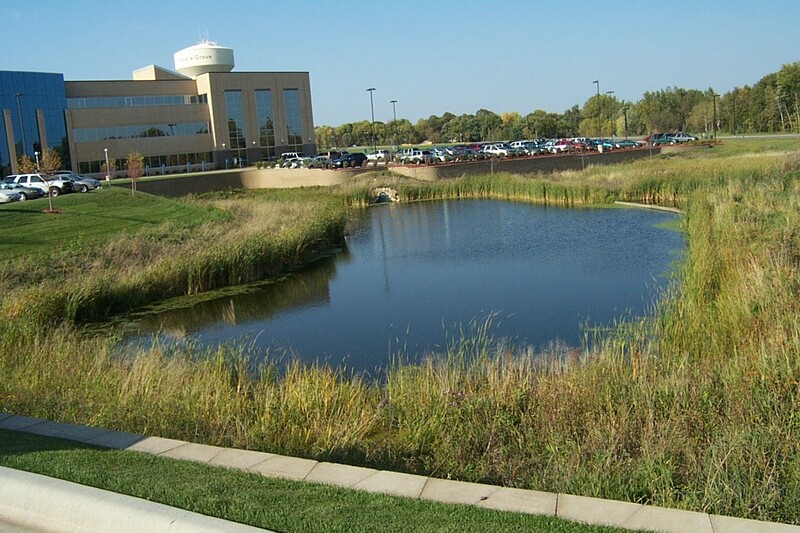 Stormwater ponds are designed to hold back runoff so that sediment can settle out, nutrients can be taken up by vegetation, and other pollutants are exposed to the sunlight and break down.